Blizzard has a really nice looking site up for the coming Legion expansion. I’m sure everyone has seen it already but i hadn’t come across it until yesterday. Call me late to the show if you will but i rarely visit their official site or forums so it was my first time seeing it. Along with the typical pre-purchase button, which isn’t active yet, there’s also some limited info about the features of the expansion. 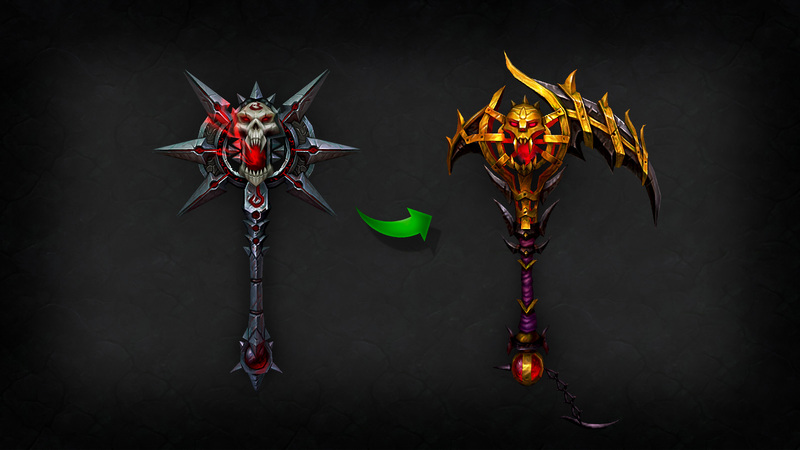 My interest lies squarely on the Artifact system and more specifically, the DK weapons themselves. 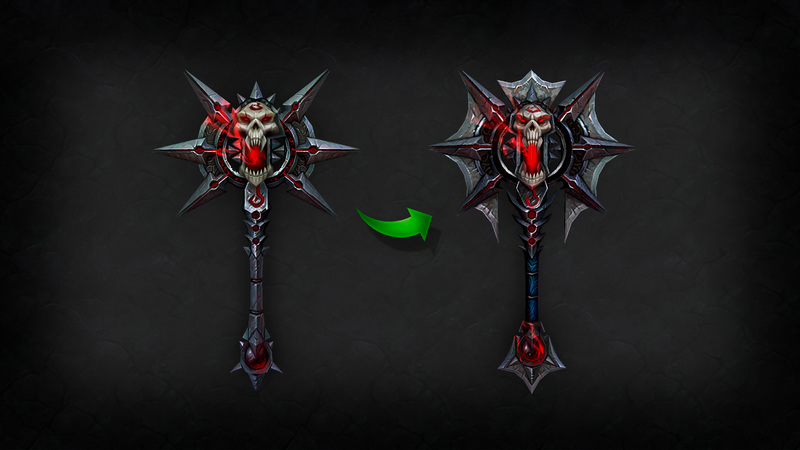 So far the list is only updated with five weapons total but one of them happens to be the Blood DK weapon. It appears to be an axe to start off, which i’m fine with. I’ve never gravitated towards 2-handed axes but this seems to fit the theme of Blood. 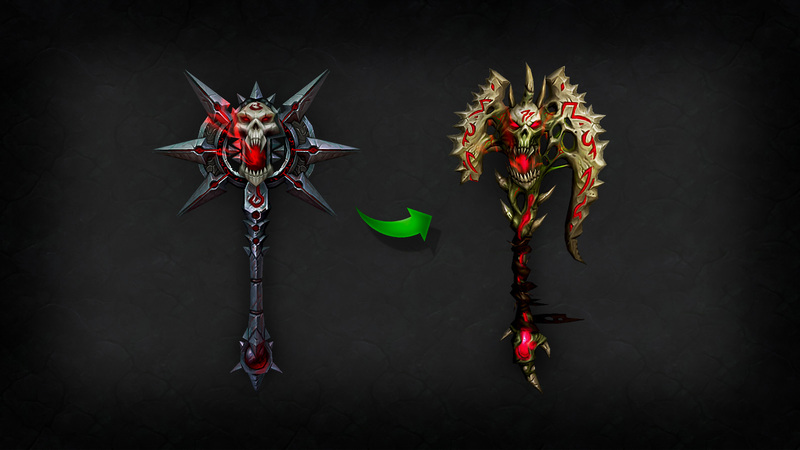 What’s more interesting is how the axe seems to morph into a scythe the more it’s upgraded. Now this has me excited. For anyone unaware, scythes were the main weapons of DK in FFXI as well as their main relic weapon. They have that whole grim reaper appeal that just screams death and destruction. This has me almost willing to put up with the headaches of tanking just to acquire. Now i’m sure i’ll try and get all 3 available artifacts if possible anyway, but the fact that it actually looks great just entices me even more. I’m generally not a fan of anything other than swords so good job Blizz art department for once. I’ve been transmoging all my weapons to ones from Wrath for a while now as anything newer just doesn’t scratch my itch aesthetically. These on the other hand are gorgeous. Perhaps we’ll finally get more epic armor and weapons sets that the majority of players won’t transmog over immediately. 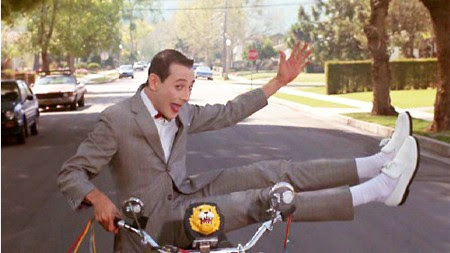 Or perhaps Pee-wee is messing with us.